We are a prominent name engaged in offering the best Cream and Ointment Making Machine. 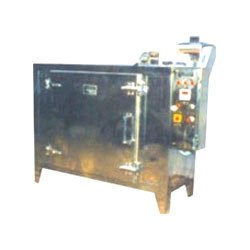 These machines are manufactured by making use of superior-grade raw-material, procured from the accredited vendors of the industry. 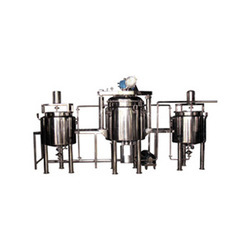 We precisely develop these machines keeping in mind quality parameters. To meet diversified demands of the clients, we offer these pins in different sizes and designs at an economical price. Being a quality committed organization, we bring forth the best-in-class Tray Dryers. 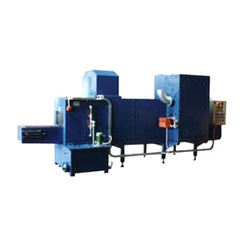 We manufacture these dryers using superior-grade basic material procured from the most reliable and trusted vendors in business. Based on latest technology, these products are in compliance with the defined parameters of the industry. To satisfy diversified demands of the clients, we offer these products in different sizes and designs. Fan Motor: 0.5 / 1.0 / 1.0 / 2.0 h.p. No. Of Fan: 1 No. / 2 Nos / 4 Nos. Looking for Dryers And Reactors ?